The following Indiegogo project might get some people excited (or confused). 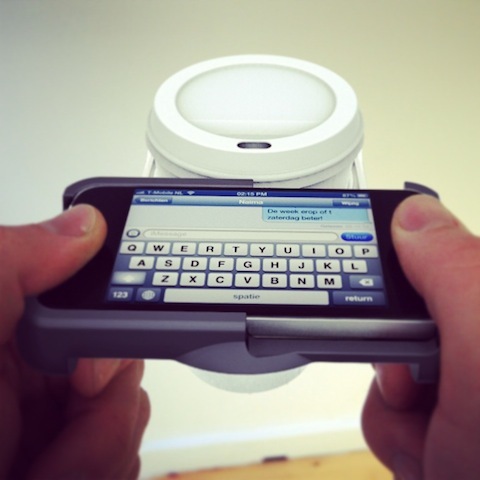 For all you coffee addicts, the Uppercup aims to be one of the first cup holders for the iPhone. A creation of the Amsterdam-based Natwerk, the Uppercup is an iPhone case with a built-in cup holder to hold your beverage. No more one handed typing. 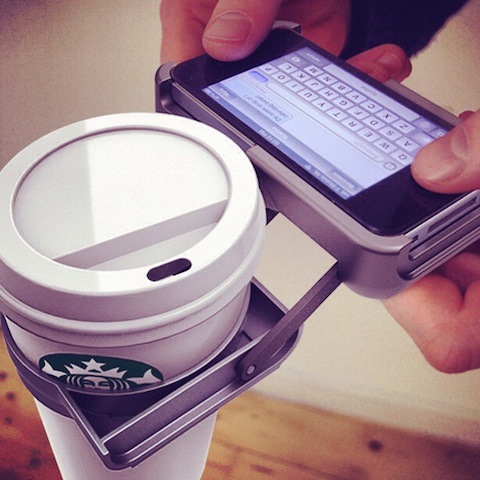 No more spilling coffee on your lap. Have your hands free for your optimal texting, gaming and social networking pleasure. 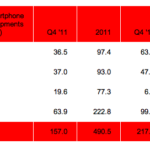 Ever since the 1st smartphone came to the market we all have been waiting for Uppercup™. The first cupholder for the iPhone. Together we can change the world with this revolutionary product. Natwerk wants to raise $25,000 to bring the Uppercup concept into production. The price to back the project is starts at $25 for the iPhone 4 version and $30 for the iPhone 5. As of writing, the project as raised $765 with 36 days to go. This will be the ultimate companion to your anti-loneliness ramen bowl with built in iPhone dock. Anyone going to back this?